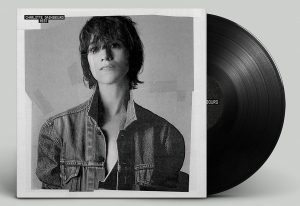 One of the very few artists who can claim to have worked with a handful of both her generation’s most acclaimed directors and musicians, with Michel Gondry and Lars von Trier rubbing elbows with Jarvis Cocker and Neil Hannon on her resume, Charlotte Gainsbourg has lived a truly charmed life. But in September of 2007, a year after the release of 5:55, the Nigel Godrich-produced, Air-assisted album that marked her return to music after 20 years as one of France’s most beloved actors, she seemed to have exhausted her good fortune. After a seemingly minor waterskiing accident, she started having headaches. An MRI revealed extensive bleeding within her brain, so severe that she would have died without immediate intervention. But even after receiving a clean bill of health, Gainsbourg felt fragile and anxious, convinced that her life was hanging by a thin thread. Eventually she found comfort and inspiration in the strangest of places—in the belly of an MRI machine. After completing a recommended year off from all creative pursuits, Gainsbourg found a recording of an MRI machine and began thinking of ways to translate her experiences into a new album. Problem is, Gainsbourg isn’t a songwriter; her previous songs were penned by her late father, legendary provocateur Serge Gains-bourg, and some combination of Air, Jarvis Cocker, and Neil Hannon. Having long been an admirer of Beck-their paths crossing multiple times backstage at his shows—she knew he was the person whose consummate eclecticism could replicate the chaos she felt within. A few phone calls later, she started a year-and-a-half collaboration, flying to Los Angeles to feed Beck specific words and images before zipping back home to work on film projects. What resulted was IRM, the French acronym for an MRI, a collection of understated African beats, swirling strings, and somber ballads. Capturing the desperation and isolation of a person trying to piece together a recently shattered sense of self, it’s both unflinchingly vulnerable and starkly haunted, with Beck creating a stylistic hybrid of his Mutations and Sea Change albums mashed together with Serge Gainsbourg’s sleekly string-laden ’70s releases. As she’s always forthright with the fact that she’s still deeply affected by her father’s unexpected death 19 years ago after a heart attack, it makes sense that Gainsbourg would be struck by such an example of familial collaboration. But where Serge Gainsbourg never suffered from a lack of confidence over his audacious 35-year career, his daughter isn’t quite ready to take Beck’s advice and claim her own songwriting process.